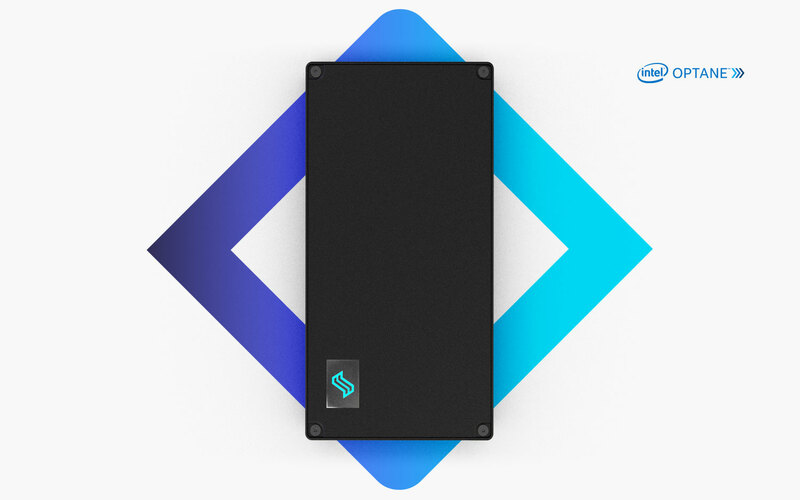 Liqid and Intel® Optane™ Technology U.2 solid state drive (SSD) solutions combine the unparalleled high-throughput, low-latency, quality of service (QoS) and endurance of Intel Optane SSDs with Liqid’s industry-leading PCIe fabrics to deliver higher user capacity and application performance. Achieving DRAM memory-like speeds, the Liqid and Intel® Optane™ solution suite is available in capacities of up to 1.50 TB for high-value workloads. Liqid and Intel® Optane™ PCIe Add-in-Card (AIC) solid state drive (SSD) solutions combine the unparalleled high throughput, low latency, quality of service (QoS) and endurance of Intel® Optane™ with Liqid’s industry-leading PCIe fabric technology to deliver 2-4x higher capacity and performance.